How to backup my iPhone? You have two ways to backup iPhone to computer directly, and you can backup iPhone to computer by iTunes. In our daily life, every day, some type of data in the iPhone is very important and of course we would like to backup data to prevent them from losing. With the rapid development of Apple Company, iPhone, as one of the company's most competitive products, has become an inseparable part of its users' life. There is no doubt that some big Apple fans have equipped themselves with all Apple products including Mac, iPhone, and iPad. And as we all know that iPhone doesn't allow its users to copy data directly from one iDevice to another. So what to do if we would like to backup iPhone to computer? If you want to backup your iPhone XS / XS Max / XR / X / 8/ 7 / 6s / 6 / 5s / 5c /4S/4, in an effortless and efficient way, you can't just skip this passage as it may be helpful for you and teach you how to backup your iPhone to computer. In this tutorial, we will show you how to backup my iPhone to my computer directly, even though how to backup iPhone to computer with iTunes. 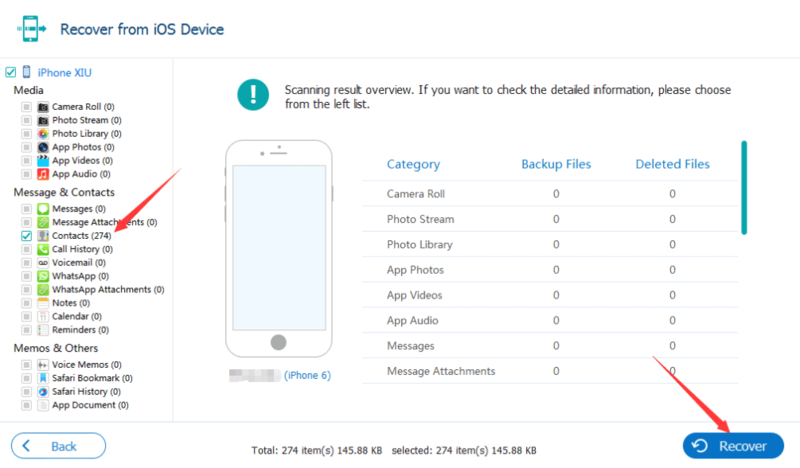 Method 1: How to backup your iPhone to your computer by Eelphone iPhone Data Recovery. Method 2: How can i backup my iPhone by Eelphone iPhone Transfer. Method 3: How to backup iPhone through iTunes. First and foremost, we recommend you a very powerful tool –Eelphone iPhone Data Recovery. It is a multifunctional tool which allows its users to finish the complicated job such as data transmission, data recovery, data backup, in just a few minutes with several clicks on PC. With the help of this professional program, you can backup all data from your iPhone to computer easily. What's more, it is so compatible that it supports nearly all the iPhone models including the newest iOS 12. 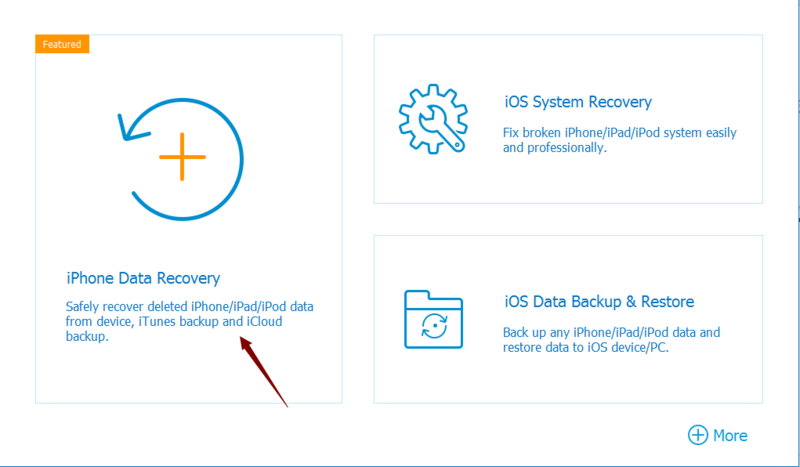 Follow the detailed steps below to continue and see how can i backup my iPhone. Step 1: Download the program and have it installed on computer. Click on the link and let the program download automatically. 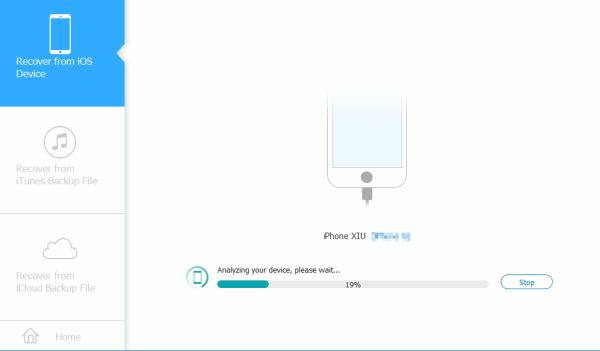 When the installation is finished, launch the program and choose the function “ iPhone Data Recovery ” on the front page. And then choose the option “ Recover from iOS device ”. Step 2: Connect your iPhone to computer and wait for seconds and let the program detects your device. Then hit the button “ Start ” and start the process. 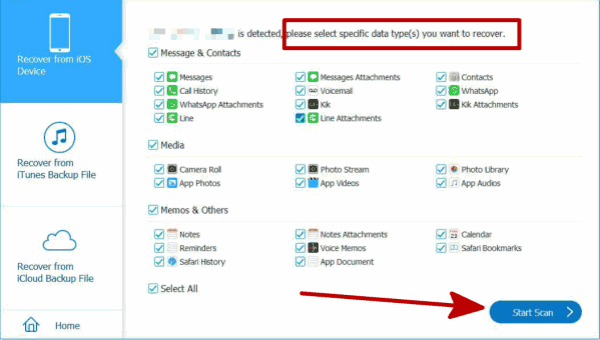 Step 3: Choose the data type you want to backup. In this case, click the type of data you want to backup, then click “ Scan ” to scan out the data you want to backup. 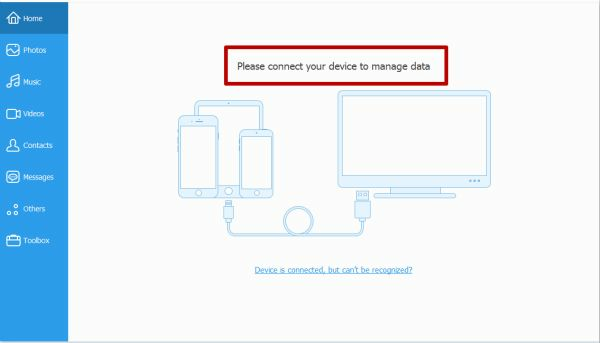 Step 4: During the analyzing your device, keep connect and be patient. Step 5: After a moment, scan result overview, you can check the detailed information of the data in the left, reclick want you want recover, then click “ Recover ”, you can choose the folder you want backup. Compared to the above method, this second method will be simpler, and you can also manage the data in iPhone. How do i backup my iPhone to my PC is easier with Eelphone iPhone Transfer. 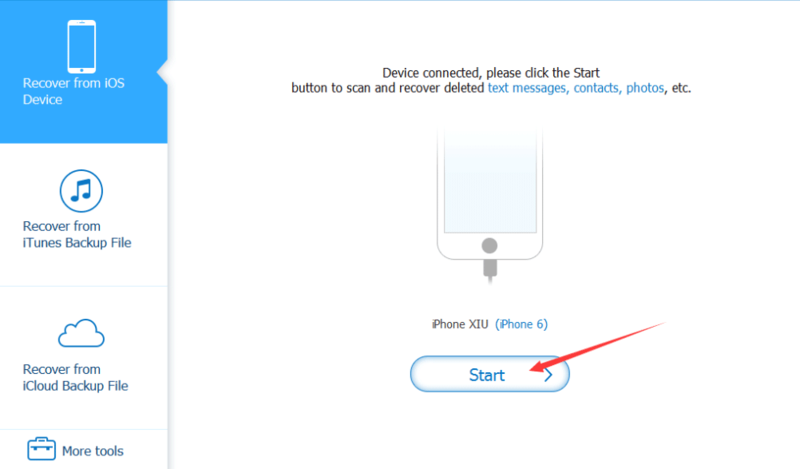 Step 1: First, you have to download the Eelphone iPhone Transfer, double click on the software and open it. Step 2: Connect your iPhone to PC via USB cable, you can see all type of data of your iPhone in the left. Step 3: Choose the type of data, and then click “ Expert to ” to backup your iPhone to computer. 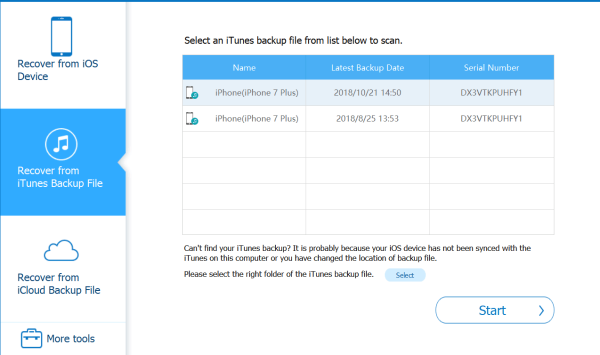 Step 4: In fact, this software can manage your iPhone data, you can not only backup your iPhone data to your computer folder, but also can backup your iPhone data to iTunes / iDevice, restore contacts to your iPhone. If you have backup your iPhone data to iTunes, you can backup iPhone using iTunes to your computer even if you don't have an iPhone or if your iPhone is stolen. Also use Eelphone iPhone Data Recovery. Let us look at the specific operation. Step 1: Again, first we need to possess this software, download Eelphone iPhone Data Recovery, make it work, click on “ iPhone data recovery ”. Step 2: Click “Recover from iTunes Backup file” in the left. Step 3: If you have been synced your iDevice with the iTunes on computer before, the software will present the iTunes backup file, you may see many files because the you have backup your iDevice many times, select the file you want to backup, and then, click “ Start ”. 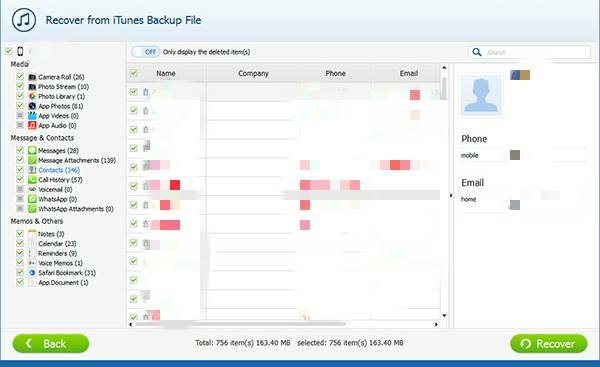 Step 4: After scan out the detailed data in your iTunes, select the data you want backup from left. Click “ Recover ” to backup iPhone to computer, you can choose the folder you want save your data. Now data on your iPhone have been backed up to computer. It is not so hard in the measure of Eelphone iPhone Data Recovery and Eelphone iPhone Transfer. We strongly recommend you to download and have a try at it. If you have further questions, let us know by writing down your comments below.